Universe of collectors is shrinking: Good thing or bad thing? When it comes to collectors, we get to witness firsthand the real world at our shop in the Promenade. During the past year and a half, the demand for collectibles has diminished due to two major factors: age and age. Senior citizens are coming in to sell their collections as they plan to downsize. That is good news - and bad news. Good news, as a younger generation will have an opportunity to purchase historic artifacts that another (usually older) person and family has enjoyed. Bad news, as often the anxious seller agrees to a reduced value, diminishing that market, unless the collection is rare. Many of our past articles, you'll recall, place emphasis on condition. Collections of high quality will always command market prices or higher. Now, as to the second "age" factor, and the most disturbing in today's world: Today's youth has little or no interest in history or collectibles. In the 1990s, 30 to 40 percent of our sales were sports cards. Today, it's less than 5 percent. Young people, when accompanied by parents in the shop, are busy with electronic gadgets, doing whatever. It is, however, very refreshing when a youngster asks about Babe Ruth or Ty Cobb or Arnold Palmer. The collectors' market is compressing and that might bode well in the long run, as supply and demand will tend to increase values for many segments. 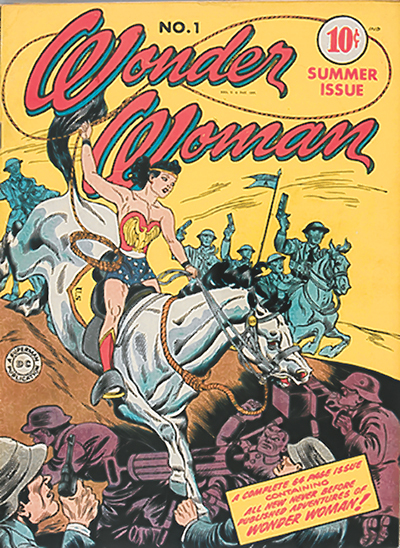 Today, we find vintage comic books, dolls, toys, packaging, Golden Age Hollywood, vintage sports memorabilia, and obsolete items in near mint condition are still great collectibles. Due to the historic nature of the category, it is still an adventure to search for your interests. Another bit of good news is that collections tend to be cyclical, e.g., Hummel figurines, Depression glass, bobble heads, Fiesta ware and stamps. In my near 90 years, we have witnessed ups and downs of all these categories. Just as the primary element in good real estate buys is "location, location, location," with collectibles, it's "condition, condition, condition." Happy hunting in 2019! There is a bargain out there waiting for you to find it ... and that's the fun!